By logging into NMSIIS domain, you agree to abide by the terms of the New Mexico Department of Health (NMDOH) that were outlined in your Organization and User Agreement. Users are responsible for ensuring they act in accordance with these terms and any other applicable policies. Only authorized users of this site should be accessing this system. Monitoring may be conducted for the protection against improper or unauthorized use or access. Any unauthorized and improper use of this system may result in disciplinary action or criminal and civil penalties. 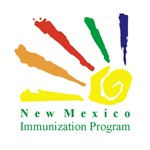 For NMSIIS Technical assistance, please contact the NMSIIS Help Desk at (833) 882-6454 or (505) 827-2356.